Wallace Alonzo Lawton was born September 26, 1858, in Forest Twp., Richland Co., WI, and died April 10, 1926, in Richland Center, Richland Co., WI, at age 67. Buried in Sextonville Cemetery, Buena Vista Twp., Richland Co., WI. He is the son of Isaac Richard Lawton of Cattaraugus Co., NY, and Melissa A. Southworth of New York. Elizabeth Beth "Lizzie" Reed was born July 28, 1858, in Orion Twp., Richland Co., WI, and died November 29, 1911, in Orion Twp., Richland Co., WI, at age 53. Buried in Sextonville Cemetery, Buena Vista Twp., Richland Co., WI. She is the daughter of George W. Reed of New York and Sarah E. McCulloch of Virginia. 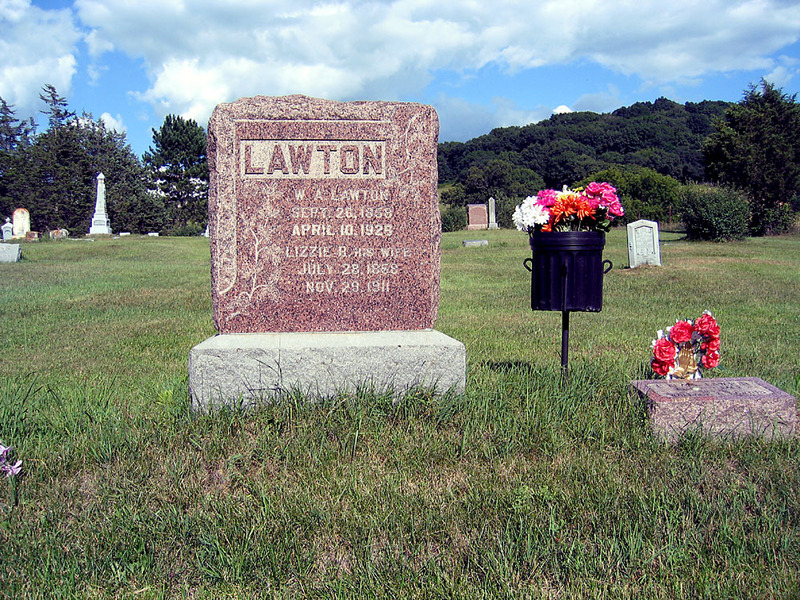 Wallace Alonzo Lawton (age 21), a bachelor, and Elizabeth Beth "Lizzie" Reed (age 21), a maiden, were married January 1, 1880, in Forest Twp., Richland Co., WI. Burke Reed Lawton: Born November 10, 1880, in La Farge, Vernon Co., WI; Died April 4, 1965, in Boulder, Boulder Co., CO (age 84). Buried in Mountain View Memorial Park Cemetery, Boulder, Boulder Co., CO. Married (1) June 30, 1903, in Lodi, Columbia Co., WI, to May M. Chase: Born May 12, 1879, in Dane Twp., Dane Co., WI; Died September 27, 1904, in Appleton, Outagamie Co., WI (age 25) Buried in Lodi, Columbia Co., WI. Married (2) July 3, 1909, in Sioux Falls, Minnehaha Co., SD, to Olive A. Hardy: Born August 13, 1875, in Sioux Valley, Jackson Co., MN; Died October 29, 1967, in Boulder, Boulder Co., CO (age 92). Buried in Mountain View Memorial Park Cemetery, Boulder, Boulder Co., CO. Burke was a Minister of the M. E. Church in 1920-1930. Georgia M. Lawton: Born August 1, 1883, in Twin Bluffs, Richland Co., WI; Died January 16, 1951 (age 67). 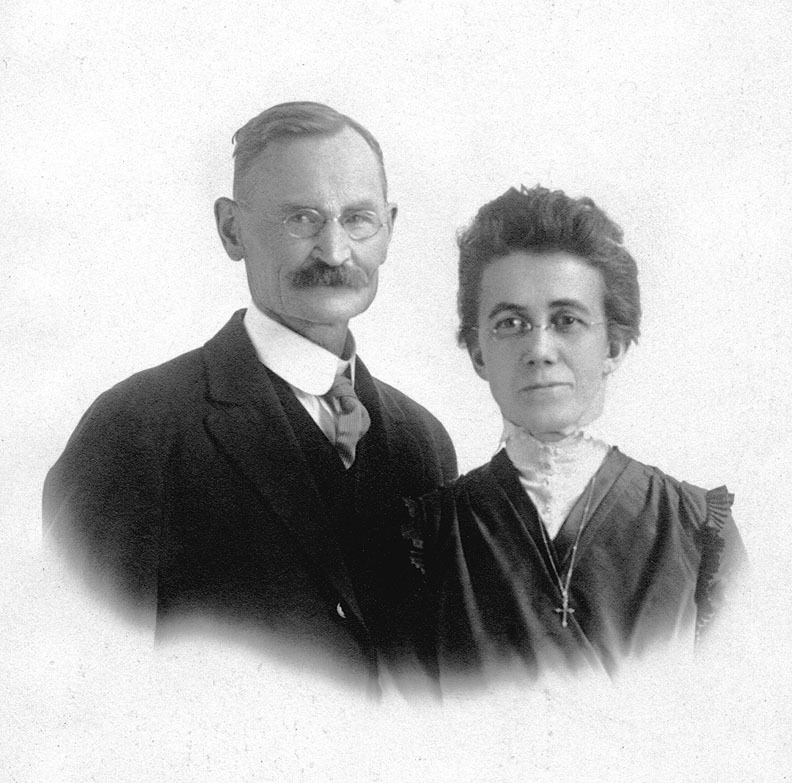 Married March 4, 1902, to Harry Lyle Ghastin: Born February 21, 1882, in Wisconsin; Died April 10, 1940, at his home in Sextonville, Richland Co., WI (age 58). Leslie Isaac Lawton: Born December 31, 1885, in Minnesota; Died June 18, 1948, at a hospital in Madison, Dane Co., WI (age 62). Buried in Sextonville Cemetery, Buena Vista Twp., Richland Co., WI. Married April 17, 1921, in Richland Center, Richland Co., WI, to Sadie May Parker: Born January 3, 1895, in LaFarge, Vernon Co., WI; Died October 27, 1932, in Unknown (age 37). Buried in Sextonville Cemetery, Buena Vista Twp., Richland Co., WI. Alice Helen Lawton: Born August 6, 1896, in Twin Bluffs, Richland Co., WI; Died June 28, 1997, in Richland Center, Richland Co., WI (age 100). Married April 12, 1917, in Sextonville, Richland Co., WI, to Homer J. Breeden: Born November 2, 1893, in Richland Center, Richland Twp., Richland Co., WI; Died February 7, 1972, at his home in Richland Center, Richland Co., WI (age 78). Dorothy Mildred Lawton: Born December 27, 1898, in Twin Bluffs, Richland Co., WI; Died August 28, 1996, in Racine, Racine Co., WI (age 97). Married May 17, 1920, in Waukegan, Lake Co., IL, to David Nelson: Born June 8, 1889, in Racine, Racine Co., WI; Died December 10, 1963, in Racine, Racine Co., WI (age 74). Elizabeth Beth "Lizzie" (Reed) Lawton died November 29, 1911, in Orion Twp., Richland Co., WI, at age 53. Wallace Alonzo Lawton then married Edna Pearl Blake. 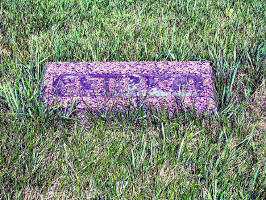 Edna Pearl Blake was born September 5, 1876, in Orion Twp., Richland Co., WI, and died August 10, 1973, at a nursing home in Richland Center, Richland Co., WI, at age 96. Buried in Sextonville Cemetery, Buena Vista Twp., Richland Co., WI. She is the daughter of Simon Simpkins Blake of Martinsburg, Bedford (Blair) Co., PA, and Mary Magdalena Ambrose from near Ligonier, Westmoreland Co., PA.
Wallace Alonzo Lawton (age 55), a widower, and Edna Pearl Blake (age 37), a maiden, were married May 26, 1914, at the home of the bride's sister, Mrs. Wallace Pratt, Richland Center, Richland Co., WI. Wallace Raymond Lawton: Born September 29, 1917, in Richland Center, Richland Co., WI; Died June 2, 2012, at the Richland Hospital, Richland Center, Richland Co., WI (age 94). Buried in Richland Center Cemetery, Richland Center, Richland Co., WI. Married May 18, 1946, in Milwaukee, Milwaukee Co., WI, to Ruth Ida Marquardt: Born March 13, 1927, in Milwaukee, Milwaukee Co., WI; Died May 20, 2015, at Agrace HospiceCare, Fitchburg, Dane Co., WI (age 88). Buried in Richland Center Cemetery, Richland Center, Richland Co., WI. 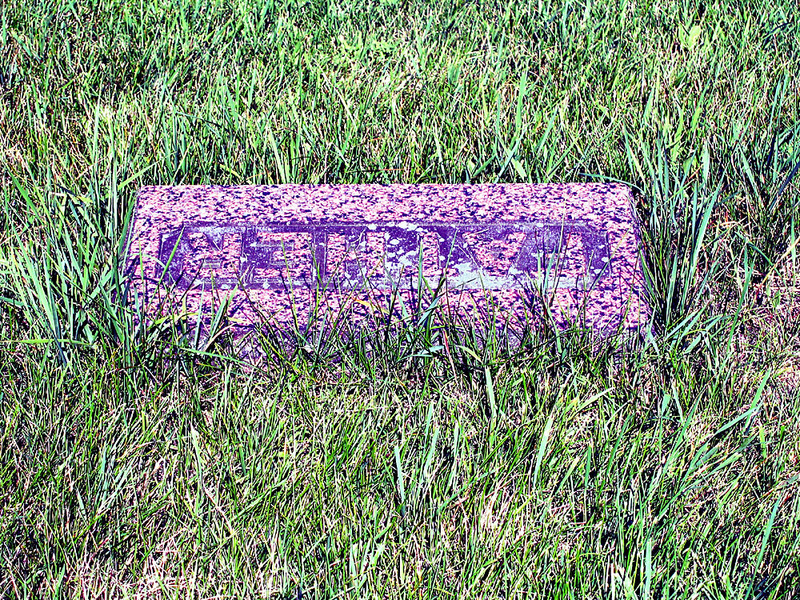 Elizabeth Beth Reed was born July 28, 1858, in Orion Twp., Richland Co., WI. 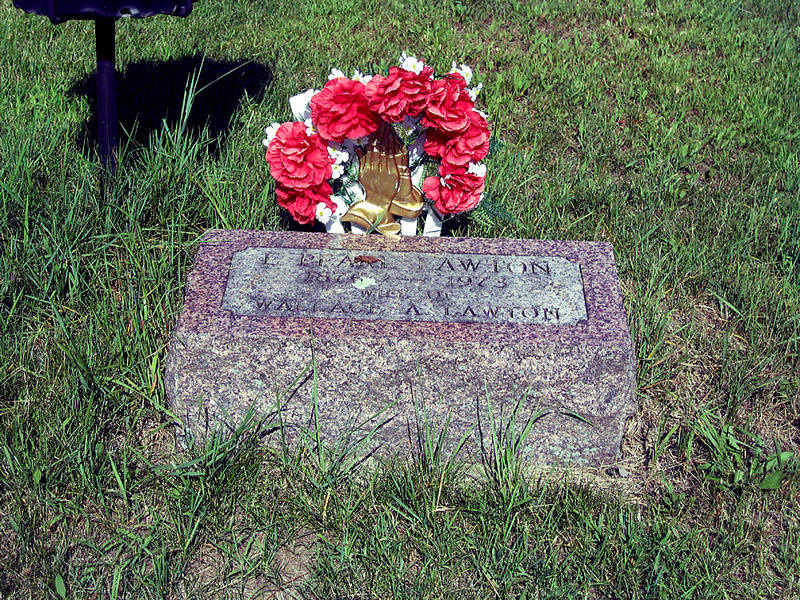 Wallace Alonzo Lawton was born September 26, 1858, in Forest Twp., Richland Co., WI. Edna Pearl Blake was born September 5, 1876, in Orion Twp., Richland Co., WI. The 1880 U. S. Census taken on June 1, 1880, shows Simon S. Blake (age 50) born in Pennsylvania of Virginia and Maryland-born parents is a farmer living in Orion Twp., Richland Co., WI. Living with him is his wife, Mary M. Blake (age 44) born in Pennsylvania of Pennsylvania-born parents. Also there are their children: Sylvester F. Blake (age 23) helping on the farm; Salome C. Blake (age 14); Cora J. Blake (age 9); Dora B. Blake (age 7); and Edna P. Blake (age 3). All children were born in Wisconsin. Simon was the census enumerator for Orion Twp. this year. The 1885 Wisconsin State Census shows Simon S. Blake is living in Orion Twp., Richland Co., WI: 1 Males, 6 Females. The 1885 Minnesota State Census dated May 1, 1885, shows W. A. Lawton (age 26) born in Wisconsin is living in Winona, Winona Co., MN. Also living there are the following, all born in Wisconsin: Lizzie Lawton (age 27); Burke Lawton (age 4); and Georgia Lawton (age 2). The 1895 Wisconsin State Census shows Simon S. Blake is living in Orion Twp., Richland Co., WI: 2 Males, 2 Females. The 1900 U. S. Census taken on June 25, 1900, shows Wallace A. Lawton (age 41) born September 1858 in Wisconsin to New York-born parents is a Farmer owning his own farm free of a mortgage and is living in Orion Twp., Richland Co., WI. 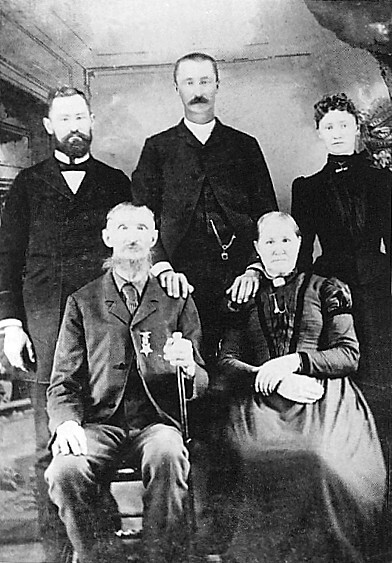 Living with him is his wife of 20 years, Lizzie B. Lawton (age 41) born July 1858 in Wisconsin to New York and Virginia-born parents, with all five of the children born to her still alive. Also living there are his five unmarried children, all born to Wisconsin-born parents: son, Burk R. Lawton (age 17) born November 1880 in Wisconsin; Georgia M. Lawton (age 16) born August 1883 in Wisconsin; son, Leslie I. Lawton (age 14) born December 1885 in Minnesota; Hellen A. Lawton (age 3) born August 1896 in Wisconsin; and Dorothy M. Lawton (age 1) born December 1898 in Wisconsin. The 1905 Wisconsin State Census taken on June 1, 1905, shows Wallace Lawton (age 46) born in Wisconsin to New York-born parents is a Farmer owning his own farm free of a mortgage and living in Orion Twp., Richland Co., WI. Living with him is his wife, Lizzie B. Lawton (age 46) born in Wisconsin to New York and Virginia-born parents. Also living there are his three unmarried children, Three unmarried children, all born to Wisconsin-born parents: son, Leslie I. Lawton (age 19) born in Minnesota, a Farm Laborer; Alice H. Lawton (age 8) born in Wisconsin; and Dorothy M. Lawton (age 6) born in Wisconsin. 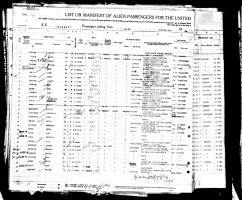 The 1910 U. S. Census taken on April 26, 1910, shows Wallace Lawton (age 51) born in Wisconsin to New York-born parents is a Fruit Farm Farmer owning his own farm and living in Orion Twp., Richland Co., WI. Living with him is his wife of 30 years, Elizabeth Lawton (Age 51) born in Wisconsin to New York and West Virginia-born parents, with all five of the children born to her still living. Three unmarried children, born to Wisconsin-born parents, are living at home: son, Leslie Lawton (age 24) born in Minnesota who is a Farm Laborer; Hellen Lawton (age 18) born in Wisconsin; and Doratha Lawton (age 11) born in Wisconsin. A hired helper is also in the household doing Housework. 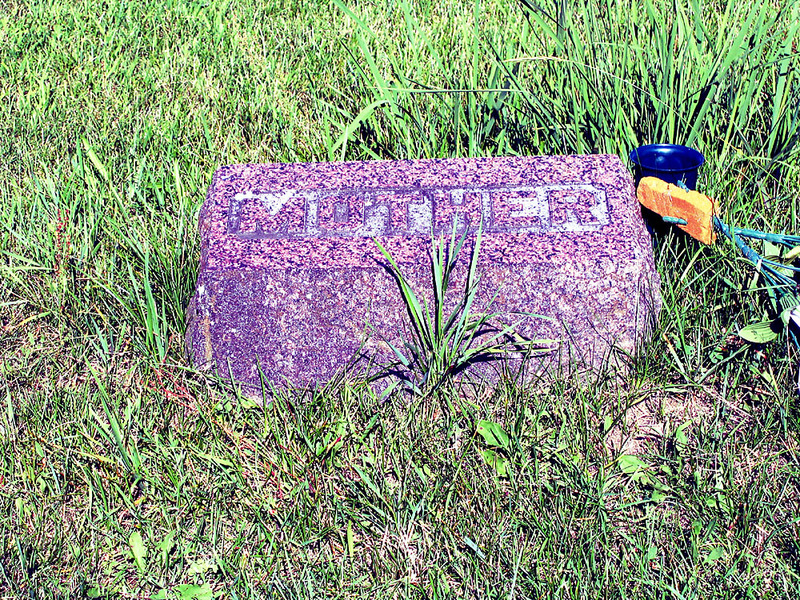 Elizabeth Beth (Reed) Lawton died November 29, 1911, in Orion Twp., Richland Co., WI, at age 53. Buried in Sextonville Cemetery, Buena Vista Twp., Richland Co., WI. RICHLAND CENTER, May 30. - The marriage of Miss Pearl Blake and W. A. Lawton, county clerk of Richland county, was solemnized at noon Tuesday at the home of the bride's sister, Mrs. Wallace Pratt, in the presence of relatives and friends. After a two-week's honeymoon Mr. and Mrs. Lawton will be at home at 139 Burton street. The 1920 U. S. Census taken on February 21, 1920, shows Wallace A. Lawton (age 61) born in Wisconsin to New York-born parents is the Assistant Highway Commissioner owning his own home at 585 Ira Street, 1st Ward, City of Richland Center, Richland Co., WI. 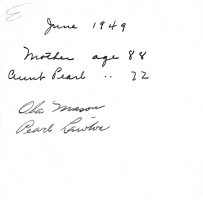 Living with him is his wife Pearl Lawton (age 43) born in Wisconsin to Pennsylvania-born parents. Also at home is their son Wallace R. Lawton (age 2) born in Wisconsin to Wisconsin-born parents. Julius Marquardt immigrated to the United States in 1924. 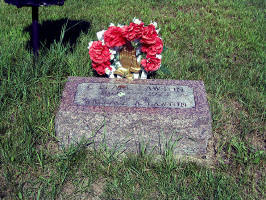 Wallace Alonzo Lawton died April 10, 1926, in Richland Center, Richland Co., WI, at age 67. Buried in Sextonville Cemetery, Buena Vista Twp., Richland Co., WI. RICHLAND CENTER - Mrs. Wallace Lawton entertained a few guests Friday in honor of Irene Pratt. The guests were: Mrs. Carl Barnes, Susie Davis, Letha Martin, Mrs. Louie Deiter, Bessie and Allie Braell. 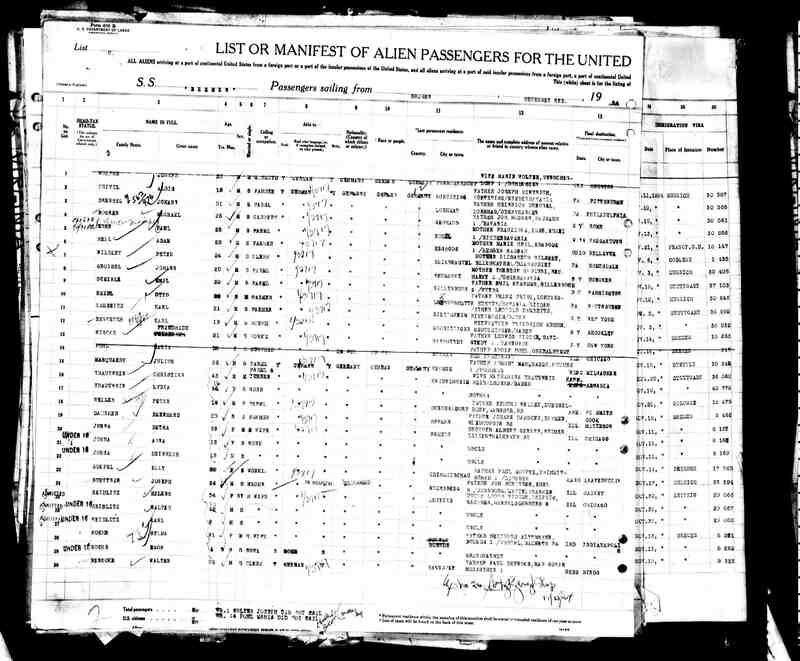 The 1930 U. S. Census taken on April 2, 1930, by Pearl B. Lawton, Enumerator, shows Pearl Lawton (age 53) born in Wisconsin to Pennsylvania-born parents is an unemployed widow, and who owns her home worth $3,000 and is living at 595 Ira Street, 1st Ward, City of Richland Center, Richland Co., WI. Living with her is her son W. Raymond Lawton (age 12) born in Wisconsin to Wisconsin-born parents. The 1930 U. S. Census taken on April 14, 1930, shows Julius Marquardt (age 28) born in Germany to German-born parents and having emigrated in 1925, and with Pa Citizenship, and first married at age 22, is a Milk Cooler in a Dairy and is renting his home home for $15/month and is living at 876 12th Street, 7th Ward, City of Milwaukee, Milwaukee Co., WI. Living with him is his wife, Hertha Marquardt (age 31) born in Germany to German-born parents and having emigrated in 1926, and with Al Citizenship, and first married at age 25. Also living there are his two daughters, both born to German-born parents: Garde Marquardt (age 5) born in Germany and having emigrated in 1926, and with Al Citizenship; and Ruth Marquardt (age 3) born in Wisconsin. The 1940 U. S. Census taken on April 15, 1940, shows Pearl Lawton (age 63) born in Wisconsin, and 5 years ago was living in the Same House, and with 8 years of School, is a widow who owns her home worth $2,200 and is living at 595 Ira, 1st Ward, City of Richland Center, Richland Co., WI. Living with her is her unmarred son, Raymond Lawton (age 22) born in Wisconsin, and 5 years ago was living in the Same House, and with 4 years of High School, a Banking Stenographer. Leslie Isaac Lawton died June 18, 1948, at a hospital in Madison, Dane Co., WI, at age 62. Buried in Sextonville Cemetery, Buena Vista Twp., Richland Co., WI. RICHLAND CENTER - Leslie Lawton, 62, died Friday at a Madison hospital after an illness of 10 years. He was formerly employed at the Milwaukee depot at Richland Center. 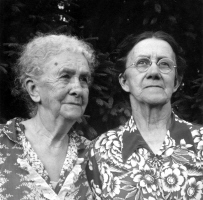 His wife, the former Sadie Mae Parker, of LaFarge, died in 1932. 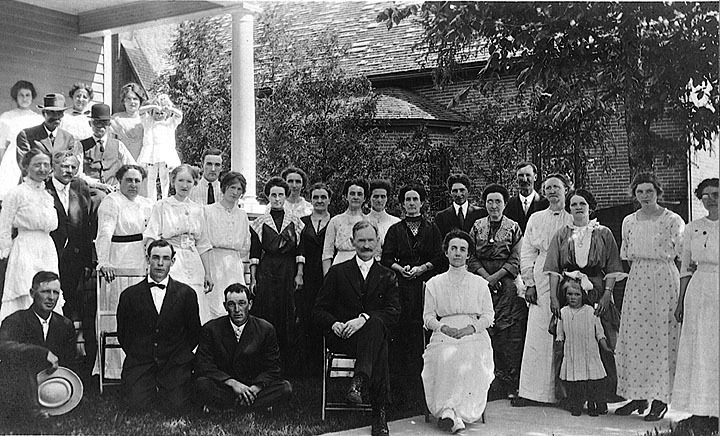 He is survived by two sons, Donald, St. Louis, and Wilfred, LaFarge; a daughter, Mrs. Lyle Parduhn, Gotham; three sisters, Mrs. Georgia Ghastin and Mrs. Homer Breeden, of Richland Center, and Mrs. David Nelson, Racine; a brother, the Rev. Burke Lawton, Colorado Springs, Colo., and a half brother, Raymond, Richland Center. The body was taken to the Pratt funeral home, Richland Center. Funeral services have been tentatively set for Wednesday. RICHLAND CENTER - Mrs. Harry Ghastin, 67, Sextonville, died Tuesday at a hospital after a long illness. 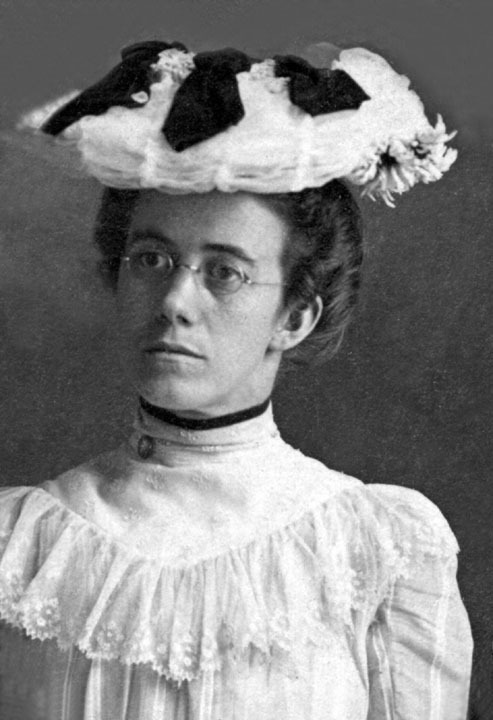 The former Georgia Lawton was born at Twin Bluffs, and lived there and at Winona, Minn., until her marriage Mar. 4, 1903, after which she lived in Sextonville. Her husband died in April, 1940. 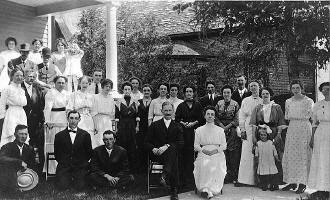 Surviving are a daughter, Mrs. A. T. Mickle, Waukesha; a son, Harold, Sextonville; a brother, Burke Lawton, Colorado Springs, Colo.; two sisters, Mrs. Dave Nelson, Racine, and Mrs.. Homer Breeden, Richland Center, and seven grandchildren. The body was taken to the Pratt funeral home. RICHLAND CENTER - Homer J. Breeden, 78, died Monday (Feb. 7, 1972) at his home after a brief illness. He was a lifelong Richland Center resident where he owned and operated Breeden's Service Station. He was also employed by the Elliot Welding Shop. He was a member of the Volunteer Fire Dept. and was also a master plumber. Surviving is his wife, the former Helen Lawton. The funeral will be at 10:30 a.m. Thursday in the Trinity United Methodist Church. Friends may call after 3 p.m. Wednesday at the Pratt Funeral Home. 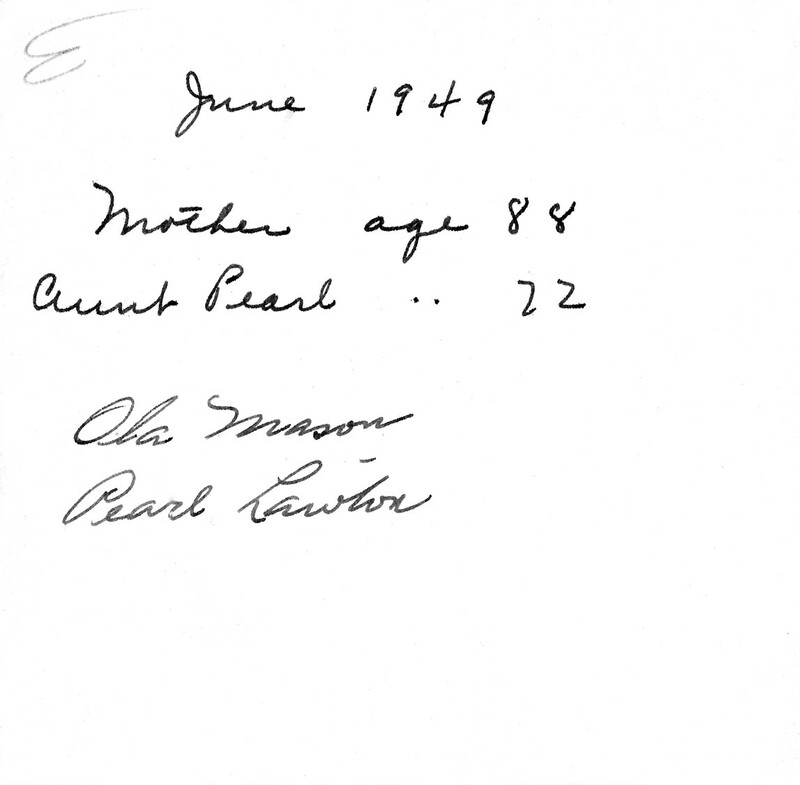 Edna Pearl (Blake) Lawton died August 10, 1973, at a nursing home in Richland Center, Richland Co., WI, at age 96. Buried in Sextonville Cemetery, Buena Vista Twp., Richland Co., WI. RICHLAND CENTER - Mrs. Pearl Lawton, 96, died Friday in a nursing home after a long illness. The former Pearl Blake was married to Wallace Lawton in 1914. He died in 1926. 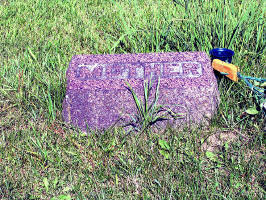 She was a former member of the Richland Center School Board, and was Richland Center census taker for more than 20 years. 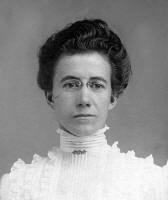 She was a member of the Assembly of God Church and the Women's Christian Temperance Union (WCTU). Surviving are a son, Raymond, Richland Center city clerk, Richland Center; two stepdaughters, Mrs. Helen Breeden, Richland Center; and Mrs. Dorothy Nelson, Racine; and 14 grandchildren. The funeral will be at 1 p.m. Wednesday in the Pratt Funeral Home, where friends may call after 2 p.m. today. Teresa Agnes Snorek, age 94, of Richland Center was born to eternal life on Wednesday, Oct. 28, 2005, at Linden Grove Nursing Home in New Berlin. She came into the world on June 27, 1911, in Richland County where she resided for her entire life. On Sept. 18, 1928, she married Albert George Snorek, who preceded her in death in 1982. Teresa was known as "Ma" not only to her 13 children and 85 grandchildren, but also by several of her many friends, including special long-term friends, Blanche Snyder and her daughters, Carole (Paul) Prestegard and Jean (William) Robinson, among others. Teresa provided a warm, loving home for her children, numerous grandchildren and others. She loved gardening and raising beautiful flowers and took great joy in sharing the fruits of her labor with others. She was a very generous, kind, compassionate and caring person who was well liked and respected by everyone she encountered, and she spent her whole life doing whatever she could to help others. She was nominated and awarded the distinction of being named one of Wisconsin's Top Ten Outstanding Senior Citizens of the Year in 1980, in large part as a result of her unselfish giving and doing for others. Her children recall her standard refrain when growing up "If you cannot say something good about someone, say nothing at all." Teresa was a life-long member of St. Mary's Catholic parish in Richland Center and a member of the Catholic Foresters, who honored her as Grandmother of the Year in 1981. Survivors include five sons, Clinton of Big Oaks, Calif., Martin of Dousman, Albert Jr. (Mary Lynn) of Black Earth, Raymund (Charlene) of Rio and James of Eagle; four daughters, Anne (Floyd) McCarty of Pinole, Calif., Mary (Paul) Moubry of Madison, Margaret Rose Snorek of De Pere and Jeanne (Dale) Lawton of Black Earth; 36 grandchildren; 41 great-grandchildren; eight great-great-grandchildren; and many nieces and nephews. She was preceded in death by a daughter, Teresa (Richard) Hoffman; three sons, Joel, Thomas and Cedric; a grandson, Philip; her parents, Frank and Elizabeth (Gorman) Schumacher; a sister, Mary Elizabeth (John) Endl; and five brothers, George, William, Francis, Joseph and Fred Schumacher. A Mass of Christian burial will be celebrated by Father Emmanuel Famiyeh at ST. MARY'S CATHOLIC CHURCH in Richland Center at 10:30 a.m. on Wednesday, Nov. 2, 2005. Visitation will be held at STAFFORD FUNERAL HOME in Richland Center, on Tuesday, Nov. 1, 2005, from 4 p.m. until 7 p.m. with recitation of the Rosary at 6:30 p.m. and from 9:30 a.m. until 10:30 a.m. on Wednesday morning before Mass at ST. MARY'S CHURCH. The Stafford Funeral Home, Richland Center is in charge of the arrangements. May her soul, and the soul of all the faithful departed, through the mercy of God, rest in peace!